Gene Barry is an Irish poet, art therapist and a practicing psychotherapist. Born in Cork Ireland, Barry changed his direction in life dramatically in 1998 when he returned to his studies graduating 5 years later as a psychotherapist. He initially worked as a biomedical engineer, chiefly in the OR and paediatrics, eventually advancing to medical equipment design. In tandem with this life change, Gene began to take his poetry more seriously by attending poetry workshops and submitting his poems. He has been published in many upmarket Irish anthologies and periodicals including Cyphers, The Stoney Thursday Book, Abridged, Revival and the Irish Examiner. Internationally his work has been published widely appearing in Visions International, Under the Radar, Poetry Salzburg Review, Euphony (University of Chicago) and The Ranfurly Review and many other anthologies and periodicals. His poems have been translated into Portuguese, Arabic, Irish and Italian. 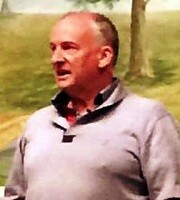 Barry has read in Australia, the US, the Caribbean, Holland, England, Scotland, France and Belgium and as the guest poet at numerous Irish poetry venues. Gene is founder of the Blackwater International Poetry Festival and administers the world famous poetry group of the same name on Facebook. He is also a publisher and runs the publishing house Rebel Poetry. As an art therapist using the medium of poetry, Gene has worked in hospitals, primary and secondary schools, NA, Youthreach, with retired people’s groups, AA, asylum seekers and with numerous poetry groups. In 2010 Gene was editor of the anthology Silent Voices, a collection of poems written by asylum seekers living in Ireland. 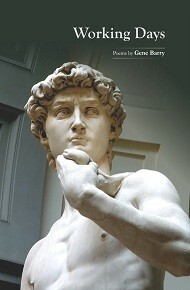 In May 2012 Barry edited Remembering the Present an anthology of poetry from North Cork. That same year he edited Inclusion and The Blue Max Review for the Blackwater International Poetry Festival and went on to additionally edit the 2013 and 2014 editions. In 2014 Barry edited Irish poet Michael Corrigan’s debut collection Deep Fried Unicorn, The Day the Mirror Called and the anthology fathers and what must be said for Rebel Poetry. In January 2015 Gene edited MH Clay’s new collection sonoffred which was launched in the US on St Patrick’s Day. In April Barry edited the anthology The Sea which was published by Rebel Poetry. Barry’s book Stones in their Shoes was published in 2008 and in 2013 his critically acclaimed collection Unfinished Business was published. He is presently editing a new collection of poems and a novel.